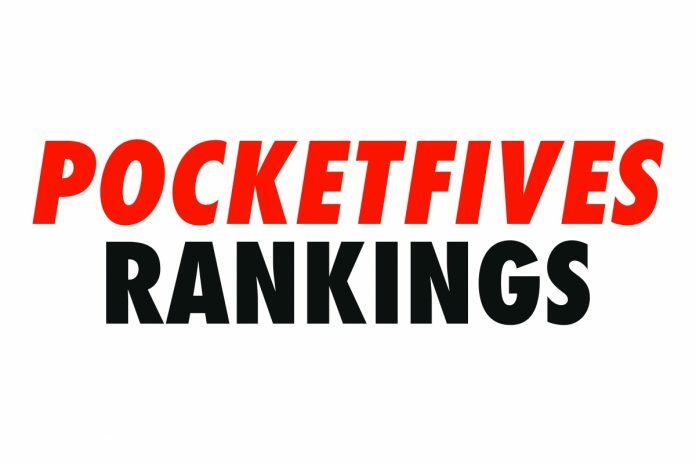 Headed into the final months of 2018, the race for the PocketFives 2018 PLB is in the final stretch. Players who have spent the better part of the year inside the top-10 rankings continue to grind out major volume and pack on PLB points in an effort to not only hit huge scores but also finish the year as at the top of the online poker world. The current leader of the pack is Sweden’s ‘lena900’ (27,159.68). The current #1-ranked player in the world took over the top spot in online poker at the end of the major spring online series and has not let go of his lead for the better part of five months. ‘lena900’ has had an amazing year by any standard thus far in 2018 with five six-figure scores. Those five tournaments alone would be enough to put the Swede well over $1 million in earnings for the year. Back in February 2018, he celebrated $9 million in total career earnings, however as of October he has soared past $12.4 million. His highlight score came during the major spring online series. During partypoker’s POWERFEST Event-53-SHR $10K Championship Event ‘lena900’ won the event and earned $430,047 plus 1,414.21 PLB points. It stands as a career-high online score for him and had helped propel him as the frontrunner for the 2018 Yearly PLB award. Not that far behind ‘lena900’ is his fellow countryman, the Swedish sensation ‘C Darwin2’ (25,756.31). Before ‘lena900’ took over as the #1-ranked player in the world, that title was held by ‘C Darwin2’ for the first five months of 2018. Currently ranked #3 worldwide, the Swede has also spent the year skyrocketing up the list of all-time career cashes. He celebrated $8 million in total cashes in February and currently sits with roughly $10.9 million, likely to surpass $11 million before the end of the year. ‘C Darwin2’ recorded his career-high score back on March 20. He took down Event #7 in the PokerStars High Rollers Series ($10,300 NLHE Eight Max) for $267,406 and 1,104.54 PLB points. He recorded another cash by finished as the runner-up in the Main Event of 888poker’s XL Eclipse for $135,000. Russia’s ‘hellohellohello’ (23,147.70) is currently sitting in third place on the Yearly PLB thanks to a scorching hot end of summer run. On August 19, ‘hellohellohello’ added a marquee victory to his resume by winning the PokerStars Sunday Million for a career-high cash of $160,888 and 1,091.60 PLB points.. The cash was one of four six-figure results in 2018 for the Russian, which included back-to-back results of over $100K during the major fall online series. He first found himself fishing in third place in PokerStars WCOOP-62-M ($2,100 NLHE Eight Max High Roller) for $136,573. The very next day he had a bit-time final table finish in partypoker’s POWERFEST-108-SHR for another $114,400. His 2018 journey has led him to rank as high as #2 in the world. He currently sits at #4. Ukrainian pro Roman ‘Romeopro’ Romanovsky (21,678.21) is currently sitting in the #4 spot on the Yearly PLB list. Like others on this list, Romanovsky had himself a career-best score in 2018 during the spring online tournaments. On May 9 during PokerStars SCOOP-14-H ($25,000 NLHE Eight Max High Roller) Romanovsky finished as the runner-up for a massive $442,299 prize. On the same day, he picked up another six-figure cash of $138,525 by taking down SCOOP-16-H ($5,200 NLHE Turbo). Those two results, with the addition of another six-figure score only days earlier, had Romanovsky well over $700,000 for the month of May. After SCOOP, Romanovsky essentially disappeared from the online scene for roughly three months. He made an appearance at the World Series of Poker in Las Vegas, but hardly any results online. When the fall series came back around, so did Romanovsky and he went on to win his fourth six-figure cash of 2018 by taking down the 888poker XL Eclipse Main Event for $187,500. He currently ranks #5 in the world with nearly $10.7 million in lifetime earnings. Rounding out the top five on the Yearly PLB leaderboard is Argentina’s Ramiro ‘Ramiro’ Petrone. Ranked #9 in the world (having reached as high as #3), Petrone had a trio of scores of over $100,000. He picked up both a POWERFEST and a WCOOP title this year however his largest cash came in the Main Event of PokerStars TCOOP when he finished as the runner-up in Event #72 ($1,000 NLHE Twin Turbos Main Event) for $282,436 which, just similarly to everyone on this list, was a career-high cash. Petrone crossed $3 million in total career earnings in the first quarter of 2018. He now sits on nearly $4.5 million.